Keto Strawberry Muffins- Make Ahead- ONLY 2 Net Carbs per Muffin! 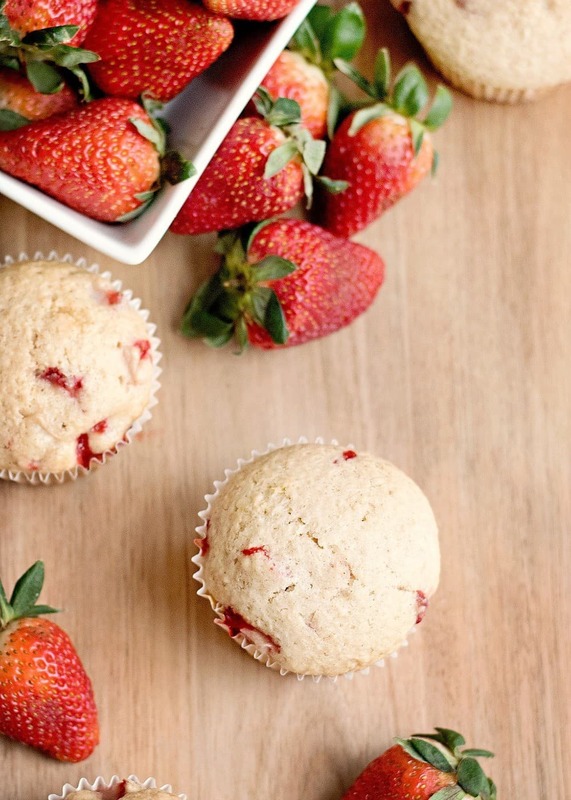 Keto Strawberry Muffins are a fast breakfast that can be enjoyed by everyone. 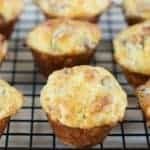 These muffins can be made ahead for those busy mornings when you may not have time to make breakfast or as a snack any time of day! 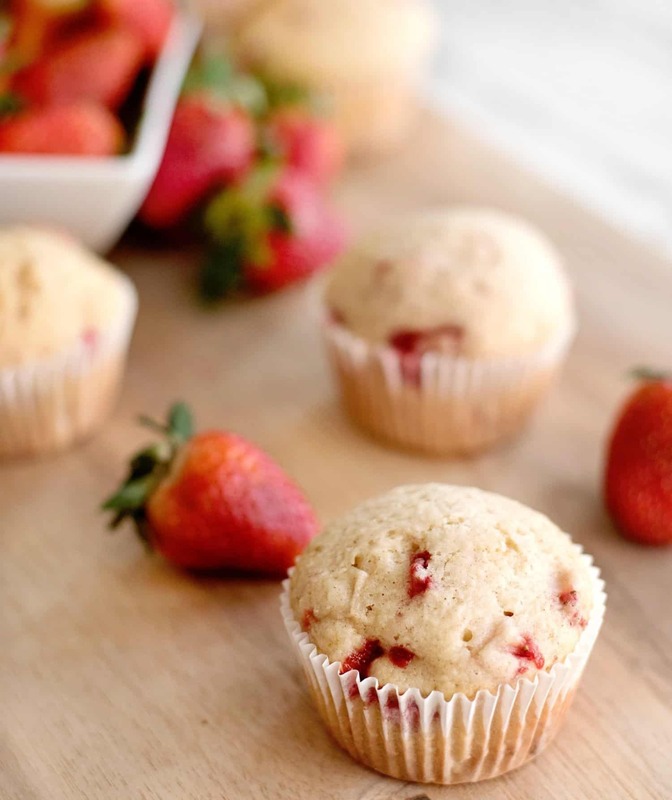 Keto Strawberry Muffins are a fast breakfast that can be enjoyed by everyone. 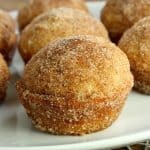 These muffins can be made ahead for those busy mornings when you may not have time to make breakfast. Let’s be honest… sometimes mornings are so busy you may even forget to grab breakfast. Right? It happens in my house all the time. I have found that during busy weeks my family likes when they can grab something to eat while walking out the door. The great thing about these muffins is that your family will not even notice that they are keto approved and gluten free. They taste like a delicious muffin! 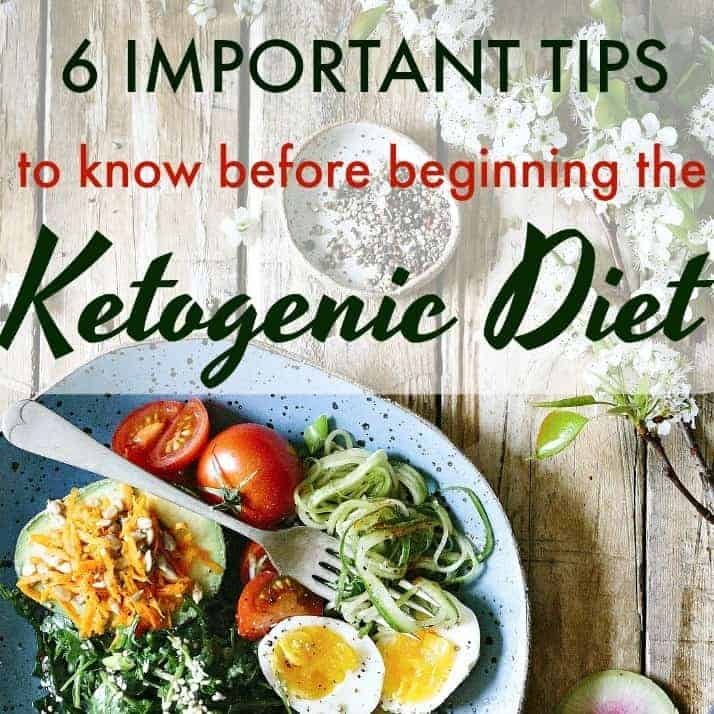 One of my favorite parts about eating keto is that I can make all of these meals for myself and my family and they do not even notice which meals are in fact low carb or keto. Tricky! 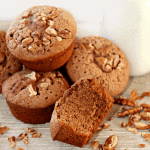 These muffins are a great addition to your breakfast menu when you want a tasty breakfast muffin. 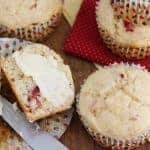 One of the best things about these Keto Strawberry Muffins is that not only are they low carb and keto friendly but they are gluten free as well. These muffins are great for all of your friends who may eat low carb, keto, and even gluten free. A breakfast for everyone to love. These are made with delicious strawberries and come out of the oven fresh, light, and fluffy. Yum! The strawberries give this breakfast the perfect natural sweetness while staying keto approved. An essential ingredient that we enjoy using that is gluten free and keto friendly is almond flour. The almond flour in this recipe allows it to stay light, fluffy, and delicious without sending you on a carb overload. Breakfast is an essential part of every person’s day. If you begin your day forgetting to eat something for breakfast then you may be in for a slow start. 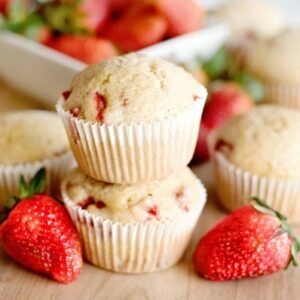 These strawberry muffins allow you to have an enjoyable breakfast whether you have time to add them to a full meal, or you just need something quick to grab while starting your busy day. 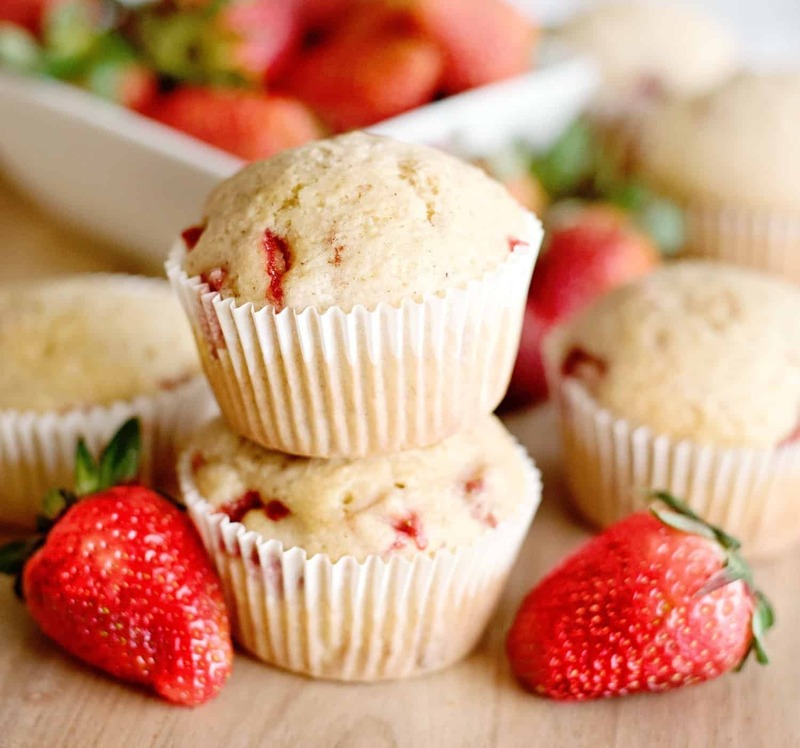 Try adding these Keto Strawberry Muffins to your breakfast menu and see how you like them. Make sure to let us know! This is a simple recipe, here we go …..
Sift almond flour and other dry ingredients together. Mix dry ingredients into wet ingredients until fully combined. Fold in the strawberries. Scoop into muffin tin cups. Bake! Simple. Now your breakfast is done for the week. PIN ME! Follow US on Pinterest! Preheat oven to 350. Grease, spray or line a muffin tin with papers. Add 1/2 of the sugar to a bowl with the strawberries. Mix and set aside. 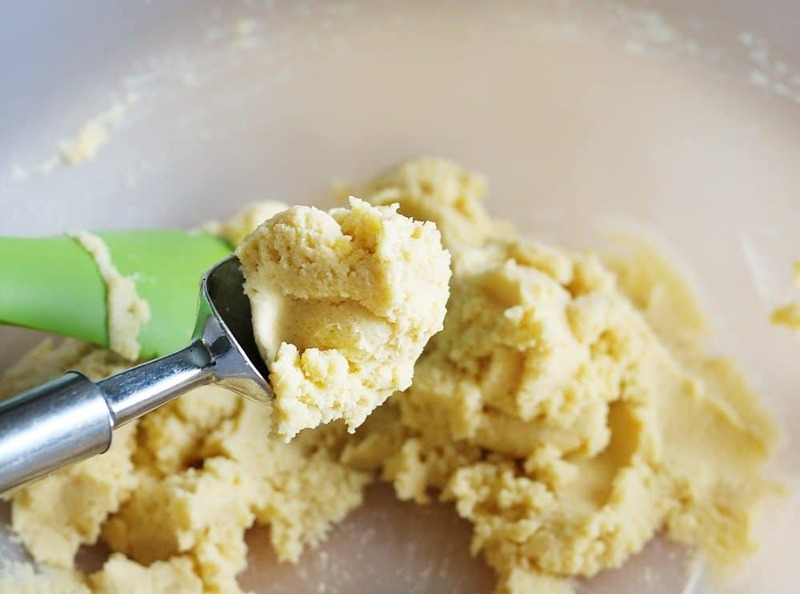 Using an electric mixer, beat together the butter and sweetener. The warm, melted butter will help dissolve the sweetener. 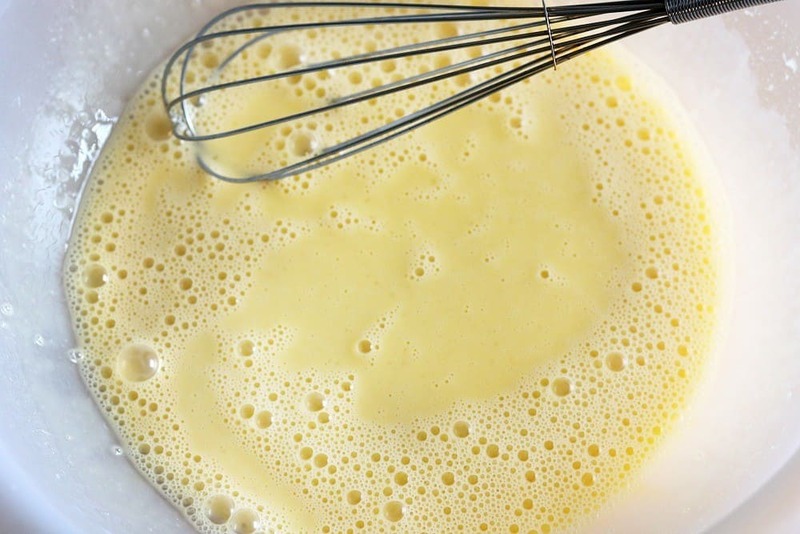 Add eggs, vanilla and cream. Beat until frothy. Sift together almond flour, baking powder, salt & cinnamon. Add to wet ingredients and mix until fully combined. Evenly fill each muffin cup. Bake for 15-20 mins or until a toothpick inserted in the center comes out clean. If you are not using fresh baking powder, your muffins will not bake up. Especially with a grain free, gluten free flour. Not beating the eggs until fluffy will result in a flatter muffin. Not filling the muffin cup all the way will result in a flatter muffin. All tastes are different, use the sweetener you are use to.